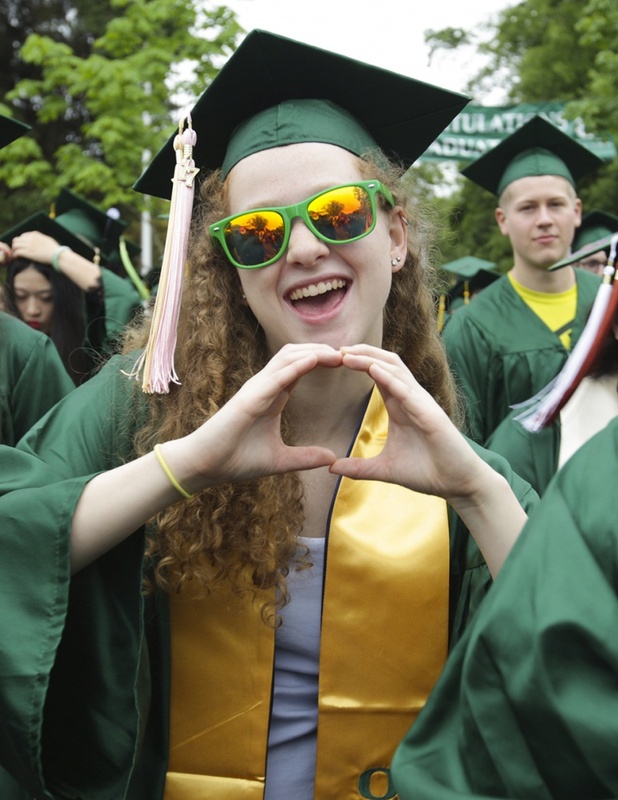 The Class of 2017 wrote another chapter in the University of Oregon’s history book Monday. 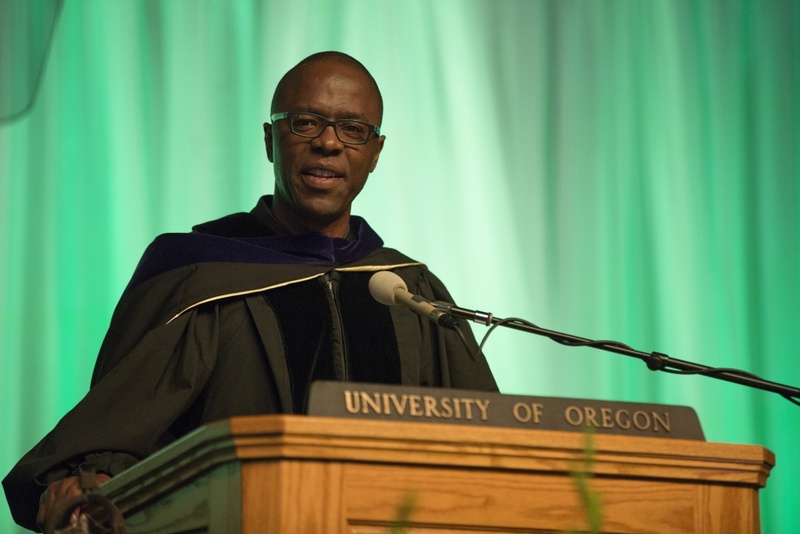 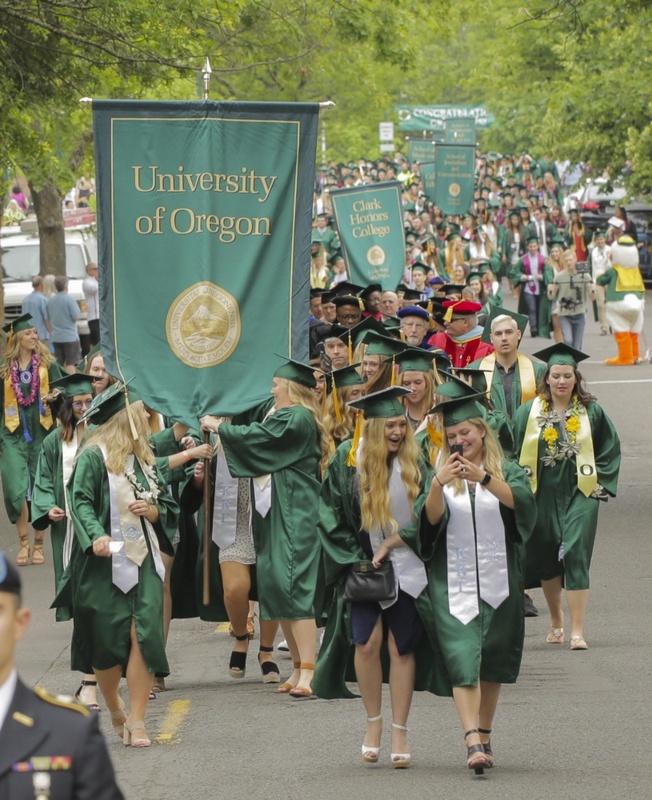 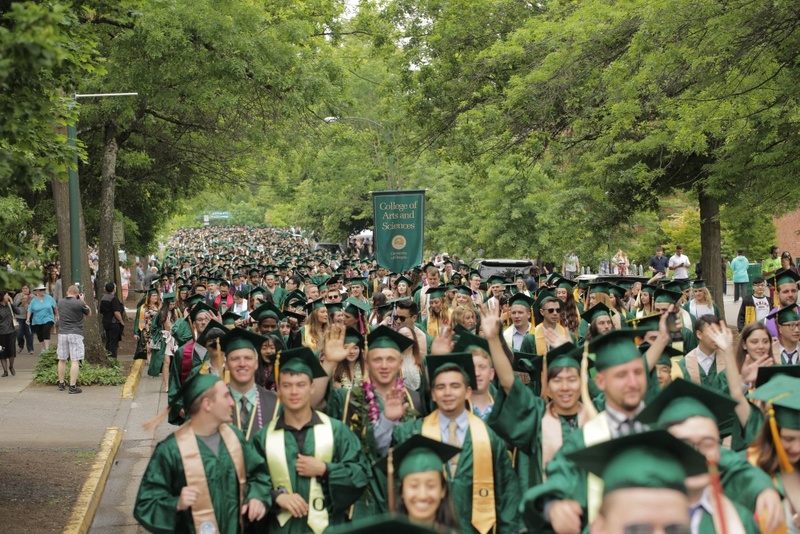 From the Grad Walk down East 13th Avenue to Matthew Knight Arena to the dozens of department ceremonies, the class added more than 5,000 pages to the UO story. 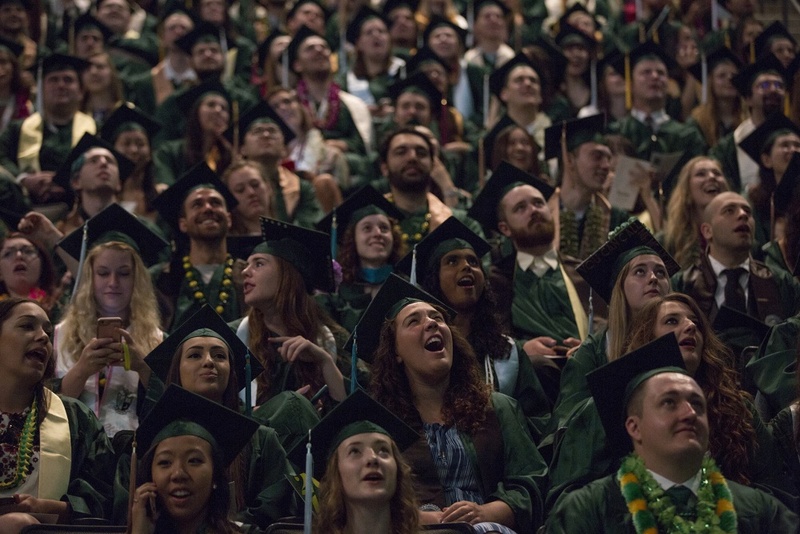 As the sun burned away the morning clouds, students spread out in a sea of green caps and gowns, passing from undergraduate to graduate. 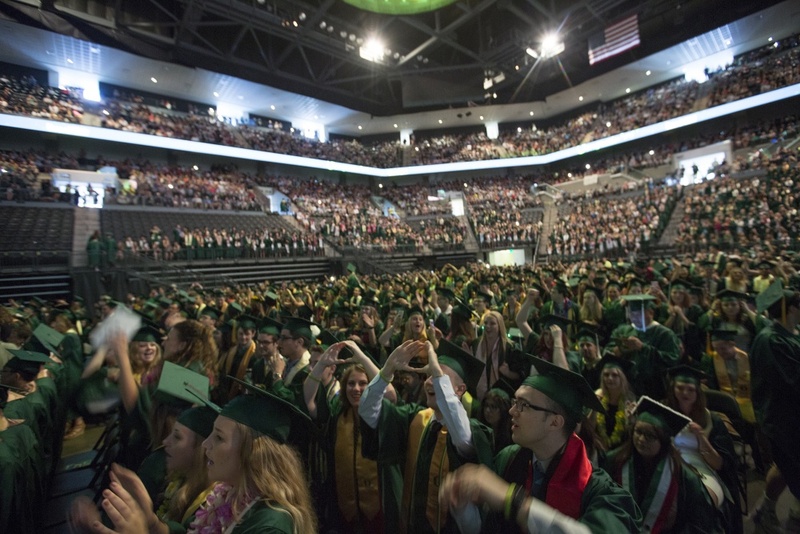 The latest generation of Duck grads left its mark. 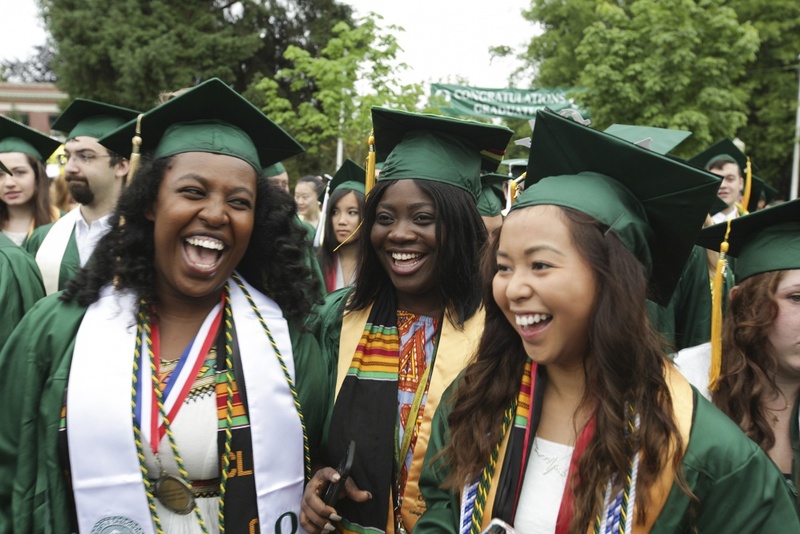 The class set records for the most Latino graduates ever at 483, the largest share of ethnic graduates at 23.8 percent and the largest number of international students with 643. 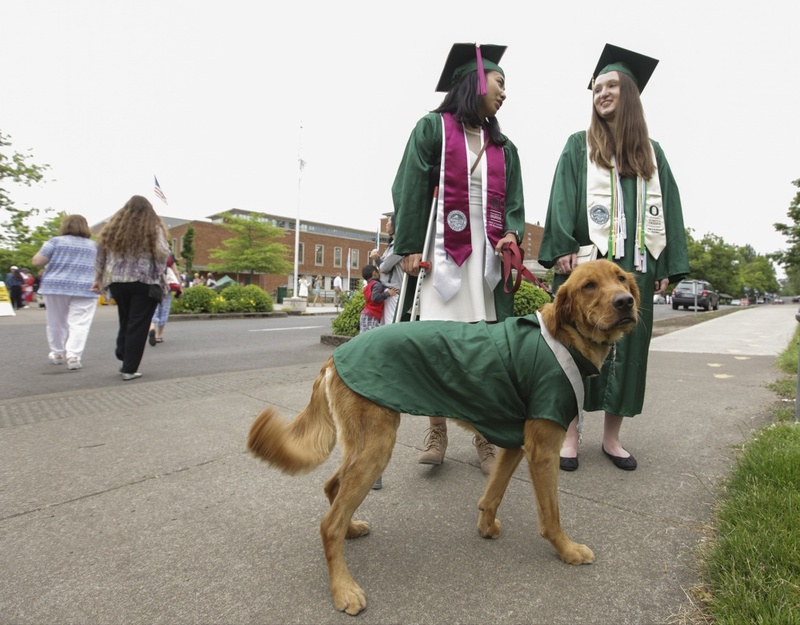 It could be a long time before some graduates visit campus again, so the day was a chance for one last walk through the quad, one last slice of pizza at the student union, one last photo with a bronzed or feathered friend. 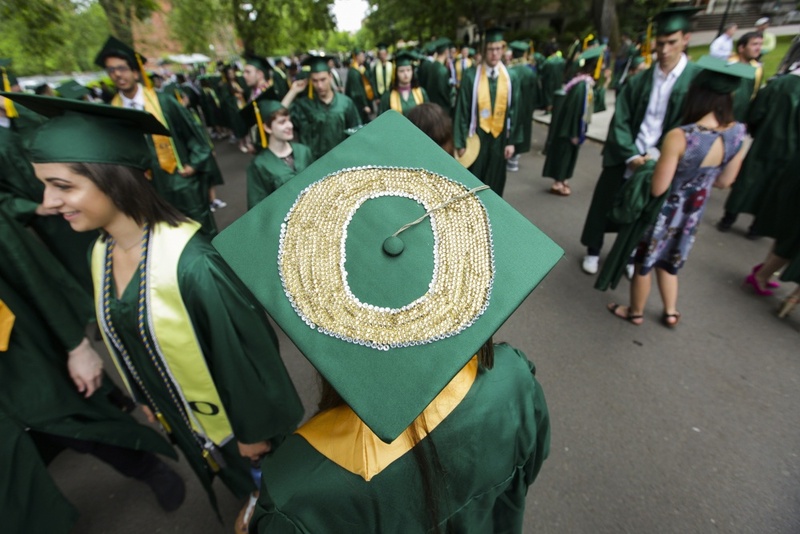 But no matter how far they roam, the graduates of the Class of 2017 will be Ducks every day of their lives.